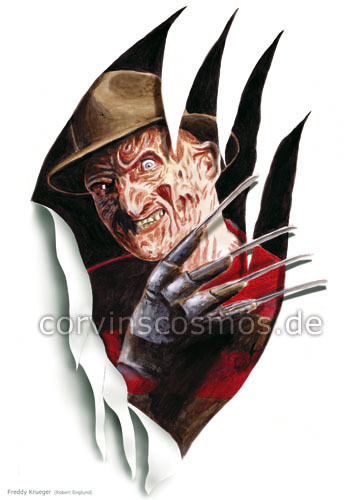 Freddy Krueger (Robert Englund) from Nightmare on Elm Street. when I realized that I had very little time to do the painting. 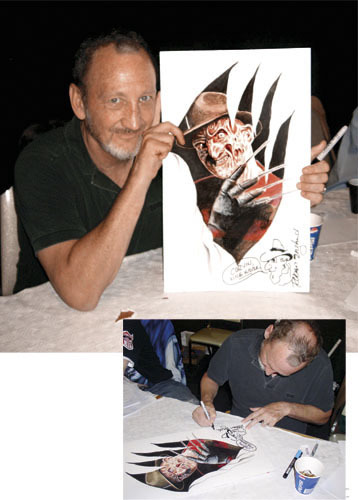 Robert Englund signs the original artwork at a convention in the Netherlands.